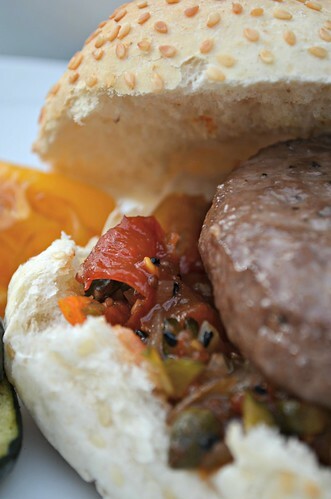 This entry was posted in Food, Recipes and tagged barbeque, food, recipe, relish, summer, tomatoes. Bookmark the permalink. 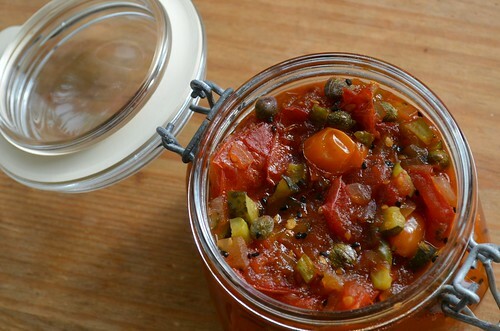 oooh, I am so making this, I’ve got tomatoes coming out of the backyard by the bushel! Looks so good! Aren’t those jars just the best? I have a number of them myself. and there you have the christmas gifts that I will be giving out this year! This does look good . I wonder what the carbohydrate count is per spoonful , though … and whether I’d have the self restraint required not to sneak an extra dollop or two ? Will be trying this out as tomatoes are plentiful here, only problem I can’t get gherkins here in Shanghai, although I’ll keep looking, but can’t see that it wouldn’t still be delicious if I omit them. What do you think? Might have to try this, it looks delicious! Lovely looking post. Yours sund like our Irish bbq’s this summer. Jumpers and umbrellas for all. I have been looking for a recipe like this! Thanks for sharing!